This is the payment plan for the 12 Week Custom Total Body Transformation Program. Please note you need to register or be logged in to sign up for this payment plan at checkout. Save 10% by paying upfront. 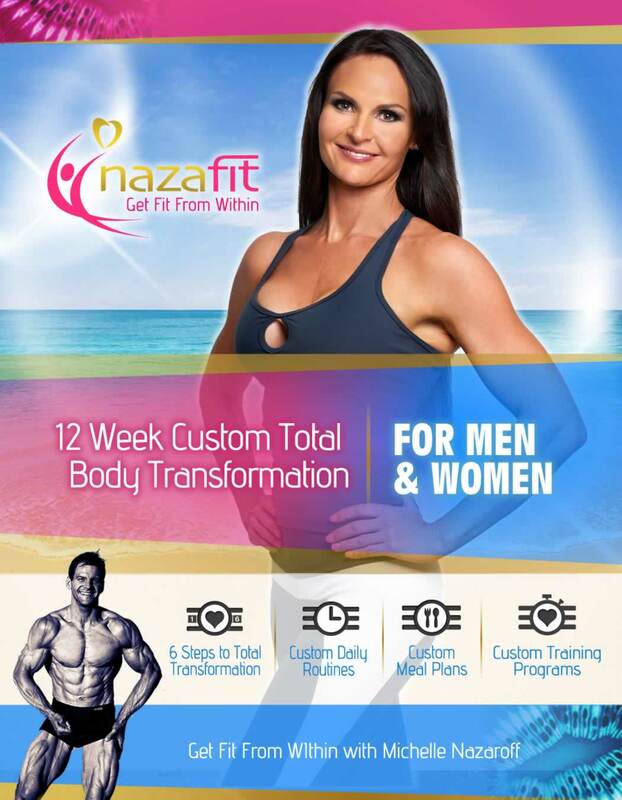 The Customized 12-Week Total Body Transformation Program is designed to turn your health completely around in just 12 weeks. The virtues of the Personal 12–week Program are combined with a personal intake and analysis giving you the most powerful program with a fine-tuned personal menu plan including the appropriate recipes and sources. We will personally coach you based on a detailed intake we receive from you. 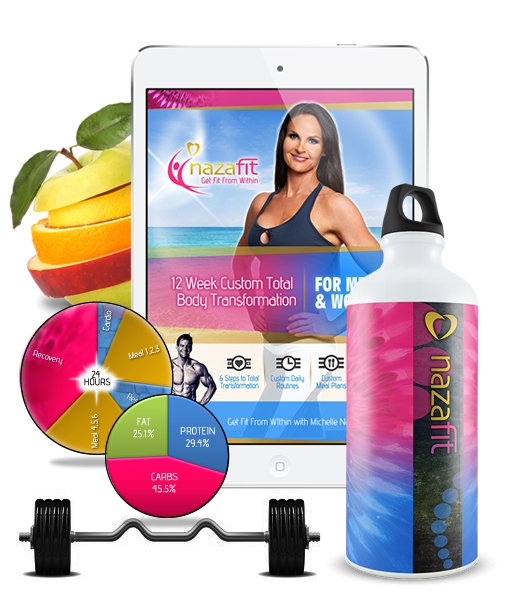 The Nazafit team will design your monthly meal plans based on your individual reports and needs and goals. Please note: The menu plan does not consist of a new menu for every day. I give you a few meal plans that you rotate through. The program it is intentionally designed this way, so you can monitor progress easily and see whether the calories work for you or not. After working with hundreds clients, I have found that if there is too much variety, it is hard to pin point what’s working and what is not. The whole purpose is to figure out what the body requires to get the result you are after and this plan is set up for fat loss and muscle gain hence it being high in plant protein, moderate carb and moderate fats. At the end of the first 4 weeks and you have tracked progress over the period of time accurately if you did not get the desired results we fine-tune the plan. So many people are guessing and that is why they do not get to where they want to be or the results take forever. This method is by far the quickest way to determine what you need and once you get a good idea of what works for your body you can add start to add variety while staying within the ratios. Once you purchase the 12 Week Custom Total Body Transformation Program you will be sent a questionnaire to complete and email back. From this point our team will create a custom program that suits your body and your goals. Simply let us know when you officially start the plan and we will monitor your progress and provide support over the twelve weeks to keep you on track.